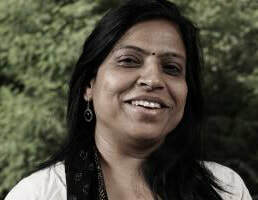 Anju Dwivedi is a senior researcher at CPR, where she works on urban drinking water and sanitation. Before joining CPR, Anju worked with the Support to National Policies for Urban Poverty Reduction Project, a partnership between DFID and the Ministry of Housing and Urban Poverty Alleviation to develop pro-poor urban policies in 20 cities across 15 states. For nearly 20 years, she has worked with central, state, and local governments, NGOs and community based groups on a variety of development issues. She is also experienced in project management, and impact assessment and evaluation. She has a Master's in Social Anthropology from the University of Lucknow.